15 April 2018 - Dubai, UAE – In a night filled with anticipation at the U16 & U14 finals of the UAE FA Academy league, du LaLiga HPC met their counterparts from City FC in both categories in the decisive battle to be crowned the strongest youth team in the nation. In the U16 category, du LaLiga HPC outplayed the boys in red from City FC from the opening whistle. Setting the pace of the match and playing an attacking match – a penalty was awarded to du LaLiga HPC early on, but not converted as City FC keeper saved it to a roar of support from the crowd with the halftime whistle ending a goalless first half. The battle for the gold continued into the second half while du LaLiga HPC kept the pressure high, playing a fast paced tactical match, creating opportunities in City FC's half – it was Hasan Ali who opened the score line to give du LaLiga HPC the lead and re-ignite the team spirit. With great support from friends and families for both teams, the atmosphere was electric. Determined to play their best and take the gold the du LaLiga HPC boys played from strength to strength setting up superb play and finding the back of the net another four times with goals scored by Lotfi Machou, Mohammed Shabrawy and Adham Khalid to take the win 5-0 and be crowned as League Champions with a five point lead at the top of the table. The U14 match kicked off with high tensions, and City FC's Aston Foster wasted no time finding the back of the net with a powerful shot in the opening minute raising the spirits of his team. However du LaLiga HPC kept the pressure on, keeping the pace of the game high and came back with a strong goal scored by Akram Kabbani to take the match to 1-1 at half time. With City FC needing a tie to take the gold, they pulled back to play a defensive second half second half, blocking every attempt on goal to the final whistle. 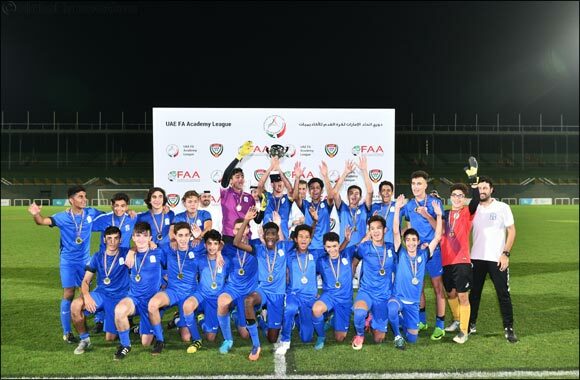 The UAE FA Academy League is the nation's official league for club academies and private academies, raising the bar on youth football across in the UAE.